Widely recognized as one of the most talented and respected journalists in Rome, Paul Badde offers here a unique glimpse into the drama of Pope Benedict's pontificate. He doesn't simply capture the various reasons for which Benedict XVI will go down in history, Badde chronicles the almost superhuman struggle against overwhelming hostilities that formed against this shy and exceedingly kind man. With fascinating vignettes back into history, you ll learn how Pope Benedict's experiences in a totalitarian Germany impacted the papacy and the Church, and how this son of a policeman became the Thomas Aquinas of our time one of the most brilliant and accomplished minds on the globe. 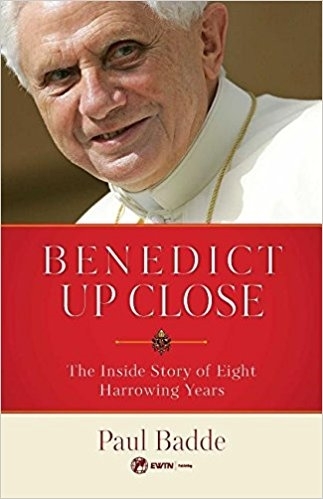 Leaning on his own personal conversations with Pope Benedict as well as his extensive interviews with those within the Holy Father's inner circle, Badde explains how Pope Benedict dealt with the blows and calumnies that rained down on him during those tempestuous eight years. You'll come to a deeper appreciation of Pope Benedict's goodness and holiness, and you'll understand why only he could have steered the ship of the Church during the storms of our time.